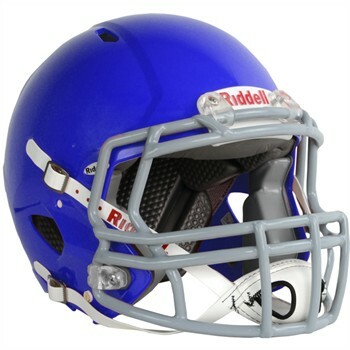 A federal judge in New Jersey recently denied false advertising claims brought under the consumer protection laws of New Jersey, California, Arizona, Illinois, and Florida against Riddell, the leading manufacturer of football helmets in the U.S. Standing alone, this is a welcome development for marketers. But our loyal readers know that health claims attract enormous scrutiny from the Federal Trade Commission (“FTC”) that often results in the filing of piggyback class action suits by private plaintiffs. Advertising claims involving brain function generally and concussion prevention specifically are certainly under the microscope, as we have noted previously. Context matters – having one’s advertising challenged by the FTC presents a different scenario than facing a private suit under state law. In front of the FTC, the onus is on the advertiser to show that its claims are substantiated with competent and reliable scientific evidence. In light of the D.C. Circuit’s recent POM ruling, this most likely means at least one but not two randomized clinical trials conducted by independent experts. In contrast, courts applying state consumer protection laws have typically placed the burden on plaintiffs to demonstrate that advertising is false – it is not enough to allege that an ad is unsubstantiated (in the Riddell case, the plaintiffs explicitly eschewed a theory based on lack of substantiation and affirmatively alleged that Riddell’s ads were false). The FTC may poke holes in an advertiser’s proffered study, but doing so will probably not be enough to allege falsity in a private lawsuit. Equipment manufacturers should be commended for continuing to innovate products that make athletes young and old safer on the field. As they compete for market share by touting their products’ features, marketers must understand that their claims and the science behind them will be put to the test by regulators and consumers both.